Due to the Doncaster show being on this weekend we suffered a slight drop in numbers because some of our members are 'flying the flag' on the 2mm Scale Association Road Show stand. 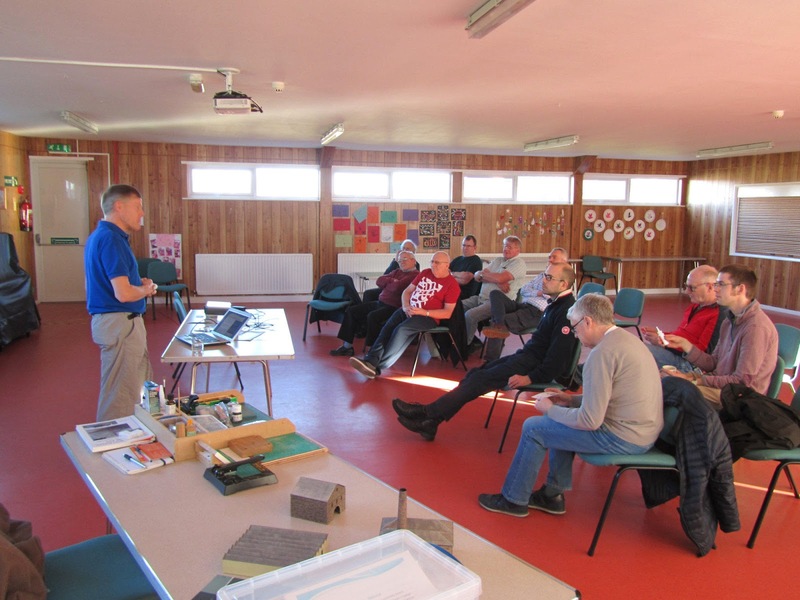 NEAG members who did attend (see photo below) were treated to a presentation by Andy Glover of the methods he employed while modelling his award winning Stoneswood Mill - check out the 'Gallery' tab on the 2mm website and choose images from the 2018 AGM at the top of the page. There was also some discussion on the subject of the Diamond Jubilee Layout Challenge and it seems there is sufficient interest to warrant enquiries with Tim Horn about producing a batch of custom built baseboards to facilitate entry into the competition - the first hurdle so to speak. At least this way you're never likely to go over the stipulated size for the competition. I will email the rest of the group about this in the next day or so. Below we see our logisitical support in the form of Yvonne, just about to cut into some of that lurvely corned beef pie....! 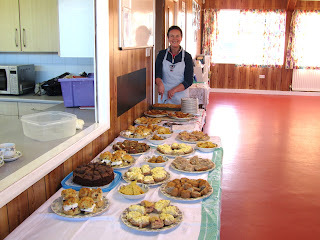 Our next get together is scheduled to be Saturday 6th April.